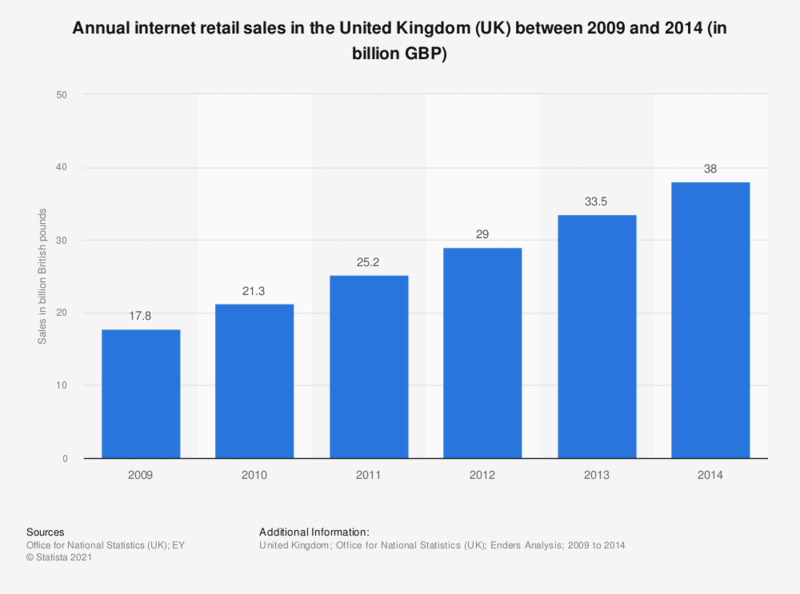 This statistic displays the annual internet retail sales in the United Kingdom (UK) between 2009 and 2014. In 2013, internet retail sales amounted approximately 34 billion British Pounds. Includes all retailing excluding automotive fuel.